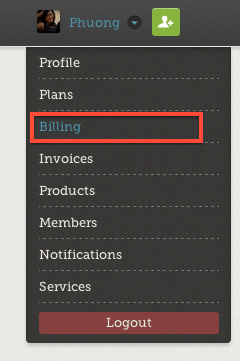 Use the drop-down menu under your name to access the Billing page. Only product owners have access to this menu. Select Billing and enter your credit card information in the form. Click Update to save your billing information.